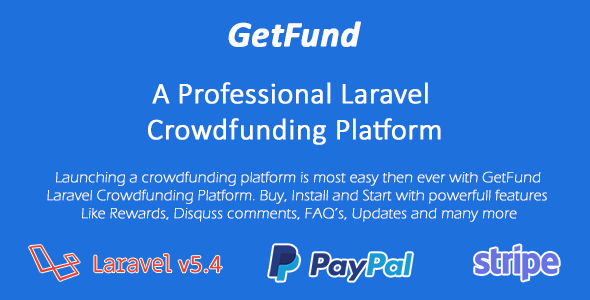 GetFund allow you to create a crowdfunding platforms in the most easy way ever. Campaign owner can submit a campaign easily to raised fund for their any reason. User can donate via PayPal and Stripe payment method to your platforms. The platforms owner can set this how commission will get a campaign owner. There are many powerfull features for create a full pladge and wide range crowdfunding platforms.